Have you seen Matchbook? The site that pairs bikinis with reading material? It's been passed around like wildfire lately. But what if you're not super svelte? 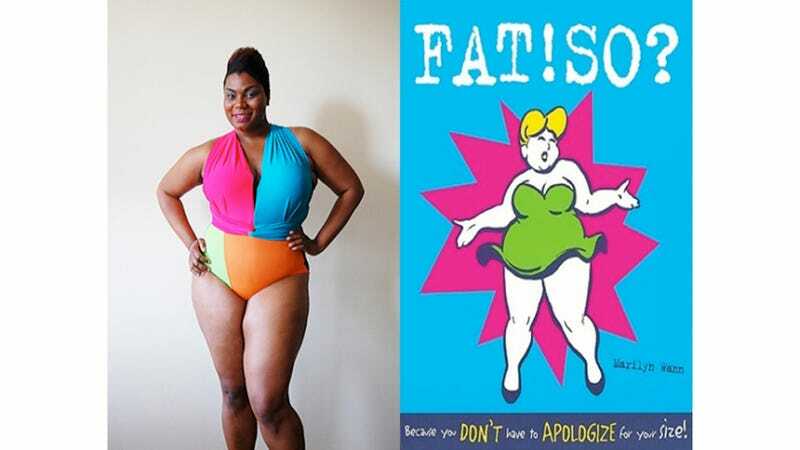 After finding that almost none of the bikinis came in her size, Kate Harding created a "plus size edition." My faves are the brightly colored suit above and the graphic number teamed up with Jane Freedman's Feminism.